SEATTLE -- Starbucks took to Twitter Tuesday and unveiled a new drink -- the Midnight Mint Mocha Frappuccino. Earlier this month, Starbucks released the unicorn frappuccino for five days, a new drink that inspired a colorful hair trend. The Midnight Mint Mocha Frappuccino includes coffee, cocoa, whipped cream, and so called cooling mint sugar crystals. A grande size has 470 calories, which is more than the unicorn frappuccino. Starbucks said it did get people in stores and got people interested in frappuccinos. 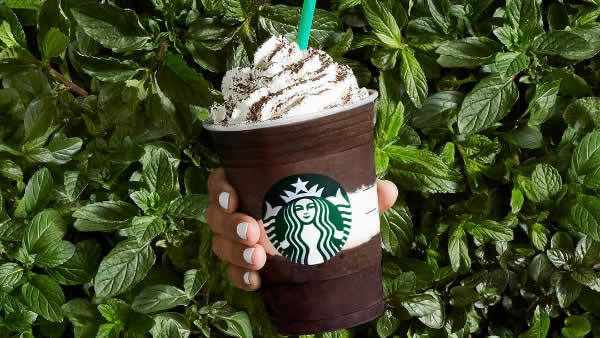 In addition to the new midnight mint flavor, Starbucks is bringing back the smores frappuccino. But that's not all because on Friday the company will kick off frappuccino happy hour, with half price drinks from 3 p.m. to 6 p.m.